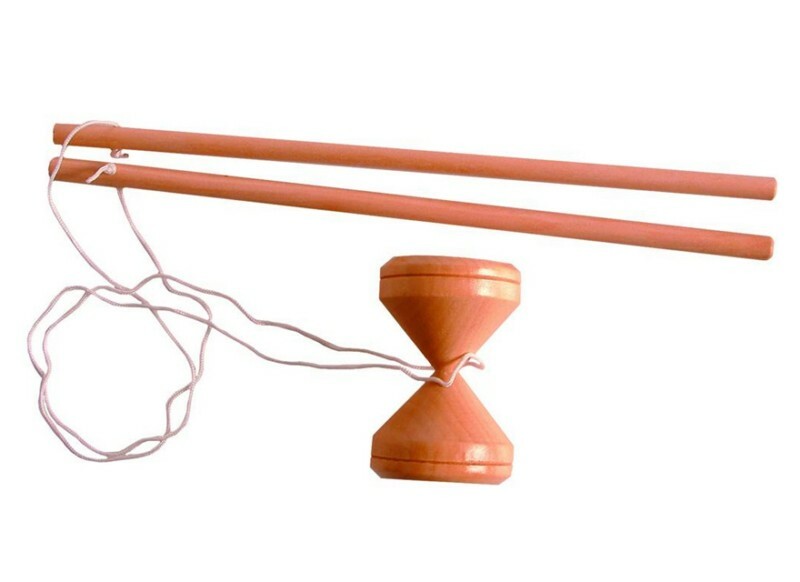 A small size diabolo for children, very similar to the Victorian pattern, made in natural wood. Complete with two handsticks and string. With practice, very many tricks can be performed on the diabolo. Recommended for age 6+. Size 30 x 9 x 6cm. PLEASE NOTE this is made of hard wood and if dropped from a height on a hard surface it will break or at least get damaged. We suggest that you should practice on soft ground or use the plastic version (link below) until your skills have developed enough so that you don't drop it when you throw it.